Join us for Fellowship, Food, Fun, and a Guest Speaker! We have an exciting evening planned, and we hope to see you there! We will have a food truck on site. 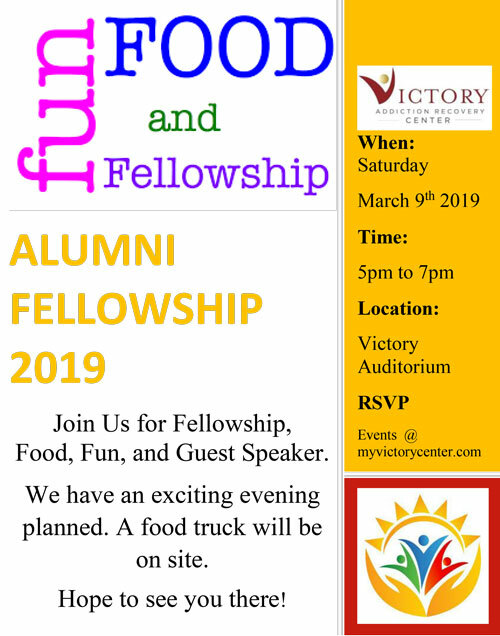 Fellowship will be held in the Victory Auditorium.